Indoor lighting can make shooting indoors difficult. Colors are rarely true to life. And, if there is fluorescent lighting, the colors can be really distorted. 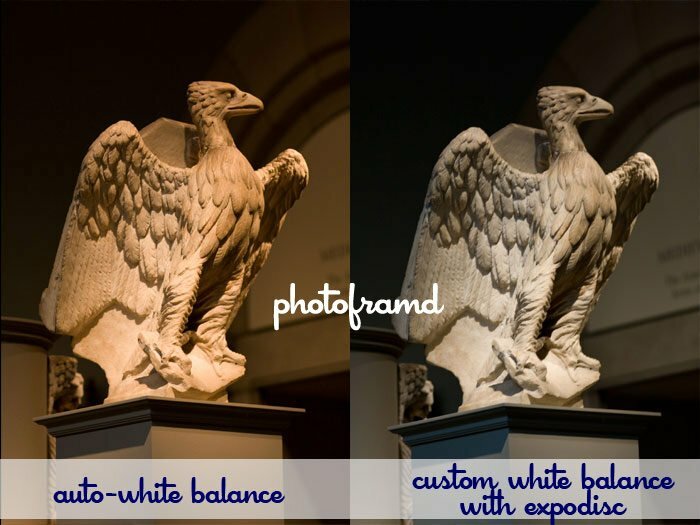 Most digital cameras have the ability to create a auto-white balance to try to bring the colors back to reality. But, even these AWBs can only do so much. For really tough lighting situations, I use ExpoDisc. The ExpoDisc snaps on to the front of your lens. Just set your lens to manual focus and take a shot to record the custom white balance. Below is my ExpoDisc next to a custom white balance taken with it. I used the ExpoDisc to take the following pictures. 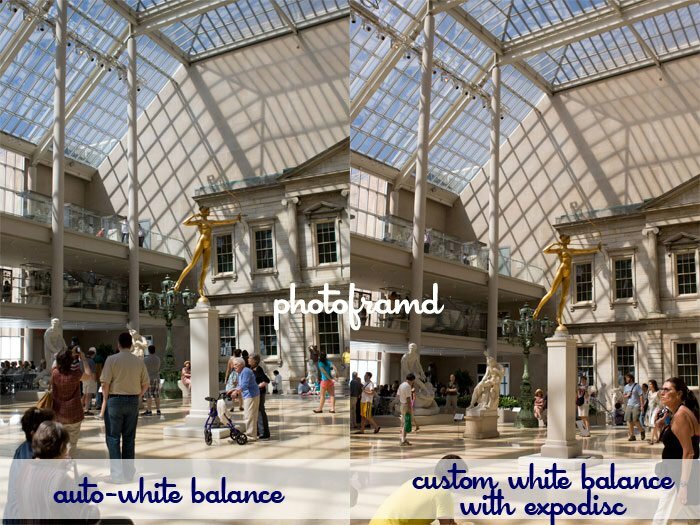 The first image in each set is the result of the camera’s built-in auto-white balance followed by the the image using ExpoDisc’s custom white balance. In each group, you can see photoframd set in pure white for comparison. Without a pure white source, it would be tough to balance these image in Photoshop. Even trying to sample a pure black from the images can be hit-or-miss. ExpoDisc makes it simple and the colors are true-to-life. ExpoDisc is available from 52mm to 95mm. Since the average price is around $100, I would recommend shopping for one size to match your most favorite lens size and use a step-up ring to accommodate smaller lenses.